I adore the lighting in this level. Meteor storm triggers very nice, as is the bit in the middle (although it lags a fair bit). There are quite a few cliff errors, unfortunately. The train line is visible along the whole top of the level and looks odd. Bottom of map visible in areas. great layout of a broken down world look. 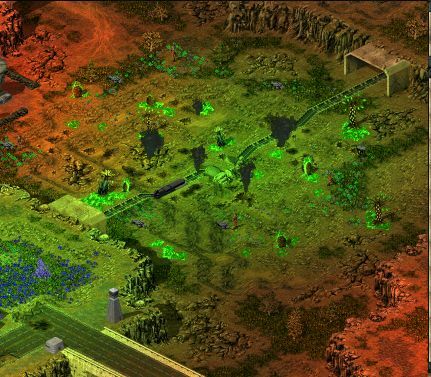 tiberium to far for some players. I like the crashed train in the middle. Also, there are working tunnels, which is always good. I like it how you have to go through tunnels to reach tiberium, or veins. The cliff layout is very complicated, which also adds points. There's a radar to capture, which reveals the entire map. However, the player in the bottom middle will always have this one the first. 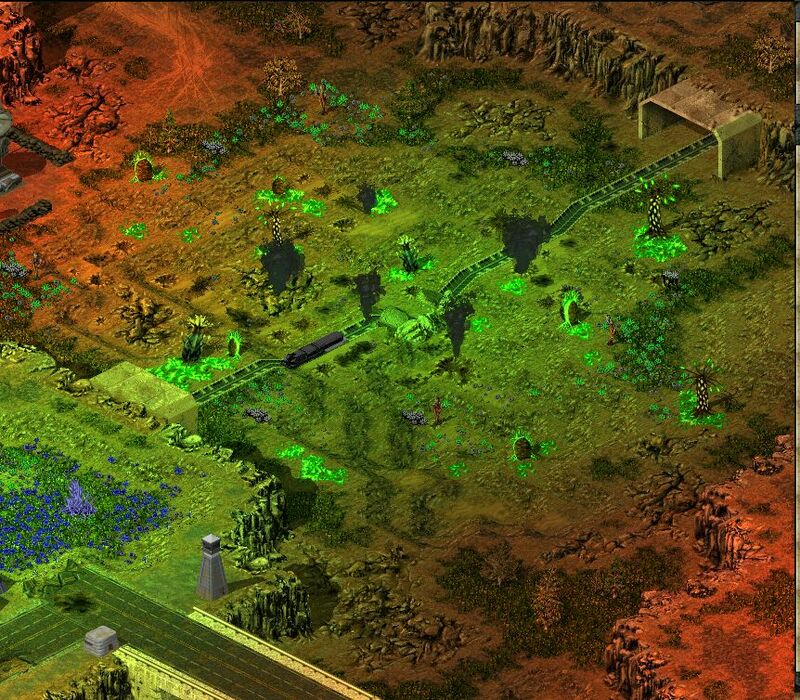 For the rest, balance is very good: Every base has it's own protected tiberium and veins patch. The map looks fantastic. The lighting is sometimes a little over the top and could be less bright, but detailing is very well done. 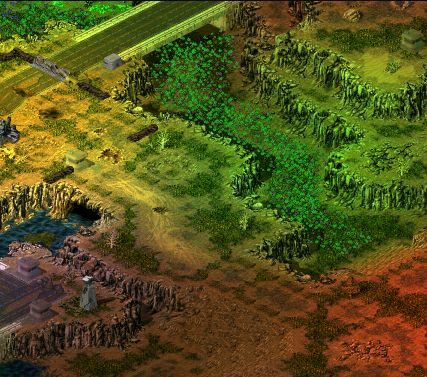 This map is very fair, looks great, the AI works well.. not much to complain here. There is a variety of triggers, including a train, smoke plumes, and some meteors. Original Concept: 18/20 - Little communities all over the map make a nice touch on realism. Nicely detailed. Balance: 14/15 - All starting locations are roughly the same distance from each other. They all have equal resources and building space. Very nicely balanced. EyeCandy: 27/30 - Good lighting. Ground is greatly detailed. Fun Factor: 15/20 - The Ion Storms that happened on and off were a nice little side dish. Triggers: 13/15 - The meteor strikes and ion storms were nicely triggered up. Original Concept: Interesting. A FS era map. (which maps arent FS in this competition? Hah!) 6 people. ideal for north vs south wars. Balance: Spacing is well balanced. each player has access to a veinhole. fair amount of Tiberium to kick off your legion. Let the enemy pull off the first attack, and bump into any...'problem' natives. Fun Factor: Pretty fun! Best to let the enemy come to you, though for a bit, then strike. Limpet Drones will be terribly helpful for this level! FS Contagium (2-6) should now be visible in the map folder in skirmish mode. - Hey. Here's my map "Contagium" for the OMC3 competition. Everything necassary is in the zip file. This map can be mirrored by any participating site. Remember to credit the author of the map. This is a fantastic map, in my opinion has a much more TS/FS atmosphere (I should have added more lighting) and is truely worth 1st place. Yep a great map. I can see how it won, as it doesn't go into such extremes as some other highscoring maps But a deserved winner. btw how did u the smoke ? just open the map and look at the triggers it aint that hard (its really simple). nice map how did you do the smoke? Look at the post above your post. If a map has a dead link, then better let it rest in peace instead of bumping years old posts. 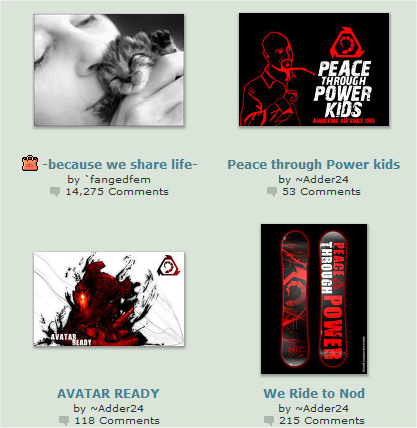 Collect a few of them and then send Banshee a PM (but don't spam him for every tiny broken link) so he can delete these old useless topics (or he might find somewhere the download and uploads it here on PPM again). Somebody on Revora has wiped a couple of directories that they thought that were useless some time ago. I've just re-uploaded omc3 one there after checking this topic. Yeah, it would be great if that those maps are upload again... (open map competition) there the only ones I couldnt test. They were uploaded with the omc3 directory.